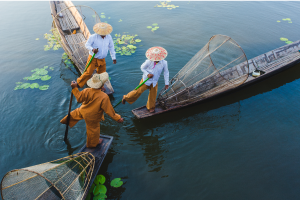 Stunning scenery, combined with high-level customer service and charming local culture makes Vietnam an ideal travel destination for groups of any size. 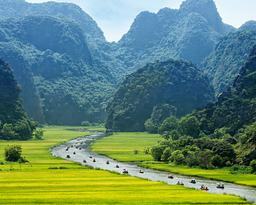 From the Northern highlands to Central coastline down to the exotic flood plains of the Southern provinces, Vietnam’s variety is one of its unique selling points. A year-round destination, the geography of Vietnam ensures it’s always a good time to travel, no matter what time of year. 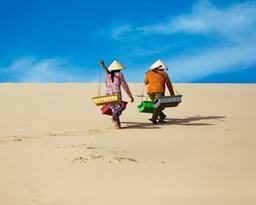 Located in Ninh Thuan province, the city itself – two cities actually. 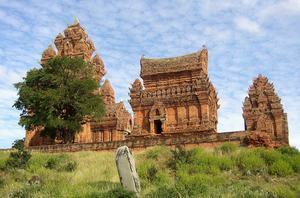 Phan Rang to the east has fused with the town of Thap Cham in the west to become the provincial capital. Phan Rang is favorite sibling of the sister cities and you may want to stay here if your sole interest are the Cham towers, but we’d recommend staying seven kilometers to the east on Ninh Chu Beach. 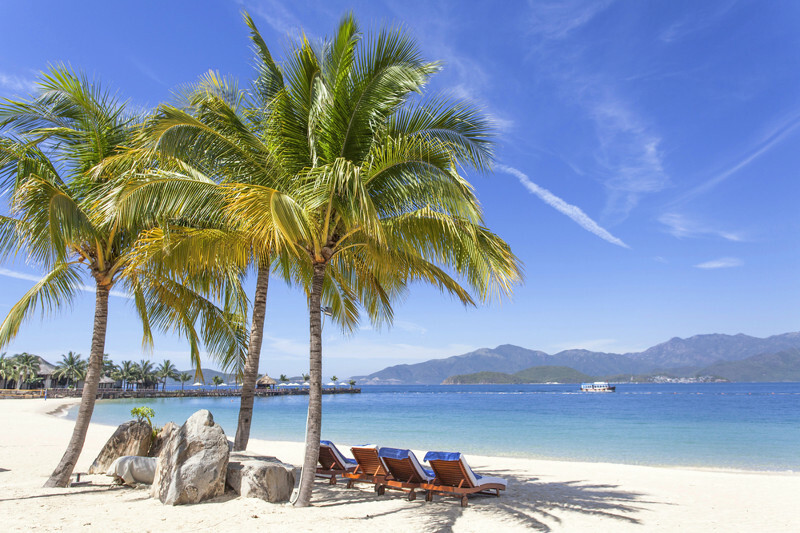 The short commute is absolutely worth it, as the long stretch of beach is easily accessible and has a few good value accommodation options that are accustomed to foreign travelers. A peaceful and authentic way of life, cheap cost of living, fascinating local culture, and near perfect water sports conditions; it’s no wonder Phan Rang is looking set to become one of Southeast Asia’s top outdoor adventure destinations. Buon Ma Thuot is the main city of Vietnam’s Central Highlands region, an area which is relatively untouched, and where a few ethnic minorities still remain, such as the Donons or Ede. During the French colonial era, the city developed well, thanks to the coffee, tea, rubber, and hardwood industries, which all flourish very easily among the red, fertile soil of the region. Coffee, naturally, still remains the backbone of the local economy, as it does in many parts of Vietnam. 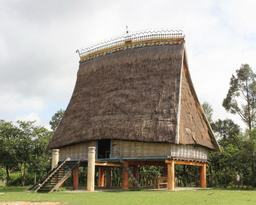 The surroundings of the town allow one to experience the ancient ways of life that the ethnic minorities still uphold, and by taking an easy trek through the rice fields, visitors can even discover hidden waterfalls in the heart of the massive tropical forest. Meo Vac is a small but charming district capital hemmed in by steep karst mountains and, like many towns in the northwest, it is steadily being settled by Vietnamese from elsewhere. The journey here along the spectacular Mai Pi Leng Pass, which winds for 22km from Dong Van, is the main attraction. Moreover, the unique cultural color of ethnic people here. 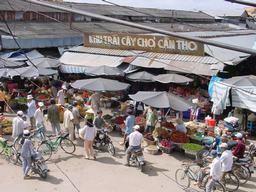 Such as Vu Mong, Khau Vai love market, Phong Luu market. 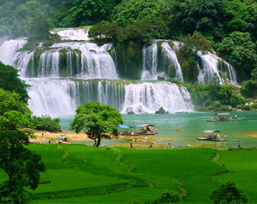 The province of Cao Bang, close to the Chinese border, is wildly magnificent, and still relatively untouched by tourism. Located on the high, northern plateaus, a 6-hour drive From Hanoi will really bring you into the heart of Vietnam’s naturl world. The region is doubtlessly one of the most beautiful in Vietnam, and boasts too many natural treasures to count, like the Ban Gioc Waterfalls or Thang Hen Lake in Tra Linh. The road that climbs up to the town of Cao Bang offers a splendid view over of the age-old mountains and the sun-drenched valleys, dotted with small villages. Although the town itself is not particularly bustling, the back country is full of picturesque villages such as Quang Hoa that can’t be missed. 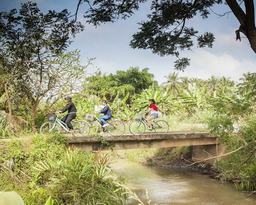 Travelers will be able to go mountain-biking, motorbike treks, or even kayak down the rivers. Dong Hoi is a pleasantly untouristed port and seaside town. 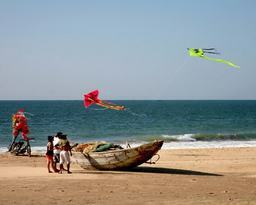 It enjoys an attractive location, clinging to the banks of the Nhat Le River, and has beaches to the north and south. However, for many years the capital of Quang Binh province, Dong Hoi, flew completely under the tourist radar. 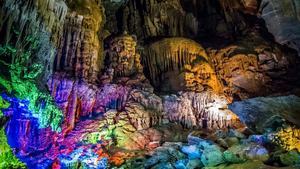 That has all changed in the last few years with the discovery of one of the world’s largest caves, Son Doong, in the nearby Phong Nha-Ke Bang National Park. The city of Dong Hoi itself is a small, sleepy place and the main draw is the fine, white sand beach that lies just 2km away. 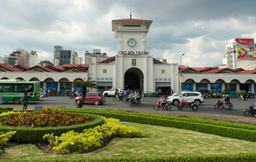 Pleiku, the unremarkable capital of Gia Lai province, which is located in the central highland region of Vietnam. 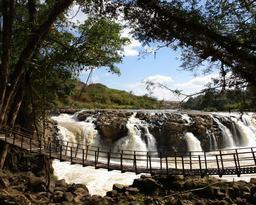 Pleiku is a historically relevant town, specifically in relation to the Vietnam War. The town was the end of the military supply logistics avenue which extended to the west along Route 19 and also the main centre of defence for the highland region. The region of Ba Be, “the Three Bays,” is located approximately 230 kilometers north-east of Hanoi, and is famous mostly for its national park and lakes – three interconnected lakes, measuring an impressive total of 7 kilometers in length and approximately 400 meters in width. These lakes are surrounded by a well-preserved tropical forest, which is inhabited by bears, monkeys, countless species of birds, as well as beautiful, delicate butterflies. In order to protect this fauna and the local ecosystem, villagers are given grants to ensure that they do not need to cut down the trees in the reserve, and hunting is prohibited – only the village inhabitants are permitted to fish in the lake, as well, cutting down on overfishing. The archipelago of Con Dao, just a 45 minute flight From Saigon, is made up of 16 paradisaical islands – the main one, Con Son, hosts the city of Con Dao, a local airport, and a few hotels, along with some interesting cultural sites. One such site is the jail of Poulo Condor, built by the French in 1862, and formerly used to imprison opponents to colonization for almost 100 years. Today, the island of Con Dao is, above all, a holiday resort that boasts very beautiful, yet still-undiscovered beaches, such as Dat Doc, Bai Canh, and Dam Trau. 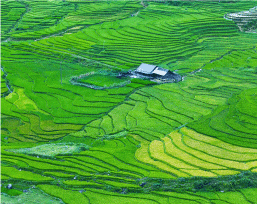 Every year, around the grain season, tourists and photographers flock to Northern Vietnam’s mountains, where the lush rice terrace explode with beauty and vibrancy. 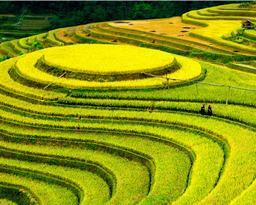 Mu Cang Chai, in Yen Bai province, is one of most attractive locales to enjoy stunning harvest scenes. 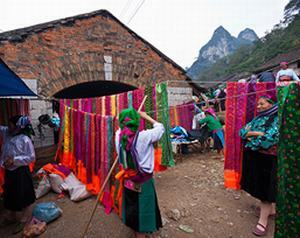 The Mu Cang Chai Market is one of the main attractions during the local, week-long celebration, the Rice Fields Festival. This celebration is rapidly becoming an indispensable and extremely important cultural activity in the life of the Mu Cang Chai people. In addition to the purpose of trading, markets are also a place of cultural exchange of ethnic people here, and they work to keep both their livilhoods and culture healthy and safe for future generations. Bac Ha is mostly famous for its market, which takes place on Sundays, and slightly less so for its traditional distillery industry that specializes in unique rice and manioc liqueur and maize liqueur. Bac Ha’s market is the most famous and the largest ethnic market in Northern Vietnam, as well, so this is a must-see for culture-lovers. Around ten local ethnic groups attend the market, including the Hmong, the Thais, and the Dao. During a visit to Bac Ha’s market, travelers will see that people don’t just come to the market to do business – they chat with faraway neighbors, meet new people, or even have a few glasses of rice liqueur among friends. It’s a convivial atmosphere – one that we heartily recommend. Around 35 kilometers From Bac Ha, travelers will find Can Cau’s market, which is smaller, and more focused on cattle trade, but definitely a sight worth seeing. 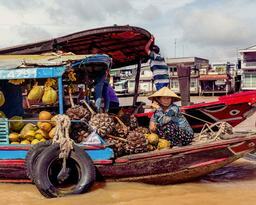 With some 115,000 inhabitants, Ben Tre is one of the most prosperous and beautiful provinces in the Mekong Delta. Each section of land makes up the large islands, spread out over the river, and are invariably turned into huge orchards, which you will be able to visit while on your cruise of the Mekong Delta. 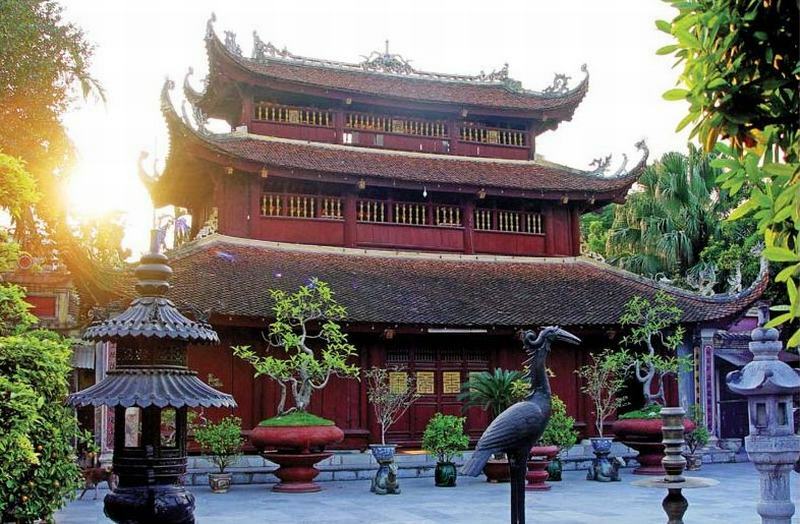 The city of Ben Tre, located on the riverbank, is home to some beautiful sites, such as the Vien Minh pagoda, famous for its statue of the Goddess of Mercy. A little further afield, on the island of Pheni, travelers can discover something truly one-of-a-kind: the only temple devoted to Cocoterism, a religion combining Christianity and Buddhism. The region of Ben Tre also hosts a beautiful bird watching site: the ornithological reserve, San Chim Vam Ho. The views here, when thousands of birds – 38 different species in all – return to nest after a day of searching for food, is a humbling experience, demonstrating – delicately – the power and beauty of nature at work. Cai Be is a town that isn’t quite a land-locked locale, but not entirely a riverside town, but rather holds the best of both. 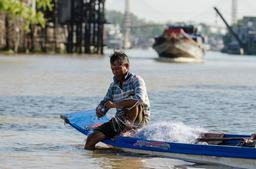 Cai Be as a whole is a district of Tien Giang Province in the Mekong Delta region of Vietnam, where along the river, docks handle passengers, local goods, and especially fruit from local orchards. Here, nature is fertile and the local people are incredibly hospitable, welcoming you with open arms and hearts. Visitors will also have a chance to enjoy a boat trip on the mighty Mekong River for a dreamy and serene time in this wonderful locale. Located at the heart of the Mekong Delta, Can Tho essentially lives off the proceeds of the river’s activity and rice culture. It is a lively and dynamic city, featuring a large, colorful market right on the main street. Can Tho will probably be the starting point of your exploration of the Mekong River because of its strategic, central position. From there, travelers will be able to go on half-day excursions or two-day cruises and discover the mighty riverbank landscapes, delicate orchards, and the strong, lush rice fields. In addition, travelers will get the chance to see several typical and traditional industry and handicraft workshops, learning more about these arts in the region. River cruising, biking, workshop, cooking class, fishing. Renowned as the City of Phoenix Flower, Hai Phong is a peaceful city of wide boulevards dovetailed with organized tree rows. 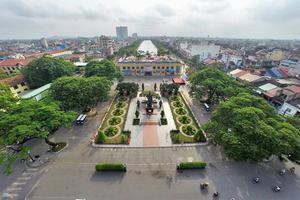 One of the important commercial and industrial hub in Northern Vietnam, Hai Phong has extensive infrastructure and offers premium facilities for tourists. Do Son, which has been a resort town since the French colonial period, boasts its beautiful white-sand beaches and luxurious hotels. Cat Ba Island, which is another tourist-magnet and very near to Lan Ha Bay, is also at the top of the list. Chau Doc is one of the main cities in the Mekong River Delta. Ideally located on the Cambodian border, it is a charming trading city, living mostly off the proceeds of the fisheries and the silk trade. 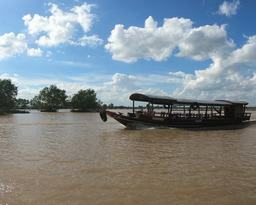 The city is situated at the intersection of a tributary linking the Bassac and Mekong Rivers. Chau Doc may be quite a small city, but what it lacks in size, it makes up for in excitement, vibrancy, and, strangely, is probably the only place in the Delta region where pastel colors are chosen to beautify store fronts. Moreover, bring out the inner adventurer and climb Sam Mountain, visit all the pagodas and temples at the foot of the mountain, or simply enjoy the beauty of nature in the whimsical Tra Su Bird Sanctuary. Gaze in awe at the mighty Seven Mountain Range, which hem Chau Doc in with various interesting sights dotting their cliffs. Or, pay a visit to the moving monuments to some important events in Vietnamese history, like the Vietnamese killing fields in Ba Chuc or the ‘two million dollar mountain,’ Tuc Dup. Dalat is located in the Southern part of Vietnam’s Central Highlands region, and sits at about 1500 meters above sea level. This destination has become very popular not only for Vietnamese, but also foreign tourists, and is rightly considered the most romantic place for honeymooners, due to its pleasant weather, its old, intimate parts of town, the natural beauty of the valleys, and the diverse flowers grown there. 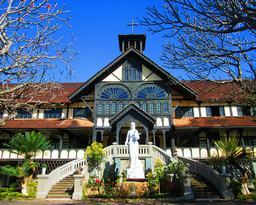 In fact, Dalat is often described as a cross between Vietnam and the French Alps, as most of its hotels and houses were built in a French chapeau style. The town spreads across a series of pine-covered hills, with a small, tranquil lake in the center, all surrounded by high peaks, creating some of the loveliest and most unique scenery in Vietnam. 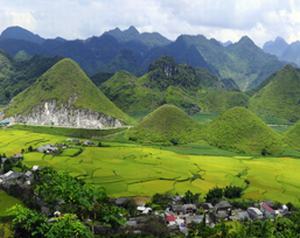 Ha Giang is a stunning mountainous region, 350 kilometers north of Hanoi has something of last tourism frontier. Surrounded by Cao Bang, Tuyen Quang and Lao Cai, it shares a border with China to the north-east. The town itself has a few attractions, but the main reason for coming is to head on to Meo Vac and Dong Van, sharing a border with China, is known as the Dong Van Karst Plateau, both set in valleys surrounded by forbidding peaks and connected by a hair-raising road with spectacular views. Limestone ridged mountains rise up in pyramidal shapes before sinking to hundred-foot mounds and then climbing once more to 5,000-foot peaks. Rice terraces slice along precariously steep mountainsides, hanging over blue snaking rivers, beneath blood-curdling bends. Colorful farmland climbs to rocky, edged cliffs before rolling off to distant pine forests. Peaceful and ancient, Hoi An is one of the most famous tourist destinations in all of Central Vietnam, one that attracts not only domestic tourists but also tourists all over the world. For many centuries, Hoi An was an obligatory stop-over for all the merchant ships From Europe and Asia passing through the region, much like Macao and Malacca. 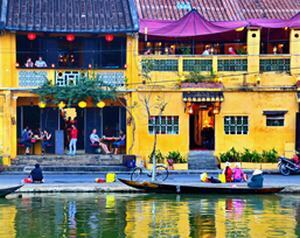 Hoi An thus experienced and soaked up multiple Chinese, Japanese and French architectural influences. Today, the town boasts over 800 listed historical buildings, and its town center is closed to traffic having been listed as a UNESCO World Heritage Site. In addition to its historical interest and the charm of its small streets, the city is renowned for its culinary specialties, its large white sandy beach, and the opportunity to explore its numerous boutiques, such as tailoring, ancient ceramics, and lanterns shops. Walking, cycling, sunbathing, tailor up, river cruise. 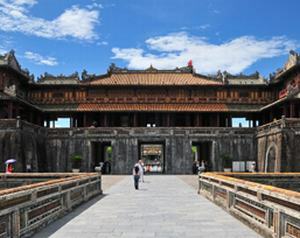 Leap back to ancient times in Hue, the archetypal Vietnamese imperial city. Listed as a UNESCO World Heritage Site, the city boasts an impressive, and frankly unbeatable cultural and historical richness: the imperial citadel, its scattered tombs and its walls surrounded by moats covered with lotus plants and water lilies all make for a sumptuous historical environment to explore. Hue is located in the central part of Vietnam, south of the 17th parallel. It was the capital city of Vietnam under the reign of the Nguyen dynasty, from the early 19th century right up to 1945. The famous Perfume River divides the city, separating the old city to the North from the modern city to the South. Explore the landmarks, boat cruise, dining experience. Kontum Province lies in the Central Highlands region of Vietnam, and shares borders with Laos and Cambodia. It is home to 525,000 diverse inhabitants, and in Kontum city and the surrounding villages, people are so open and friendly, often inviting travelers to come to their house. Guests will have the perfect opportunity to immerse themselves in the life of one of the eleven ethnic groups that inhabit this mountainous province. Among them, guests will learn about groups like the Sedang, Gia Rai and the Bahnar, who were the first to develop the skill of writing and, today, still practice different forms of crafts such as pottery making, weaving, metalworking, and wood carving. Recharge yourself in the lush green environment of Mai Chau Valley and experience the locals’ daily life in this picturesque valley region. 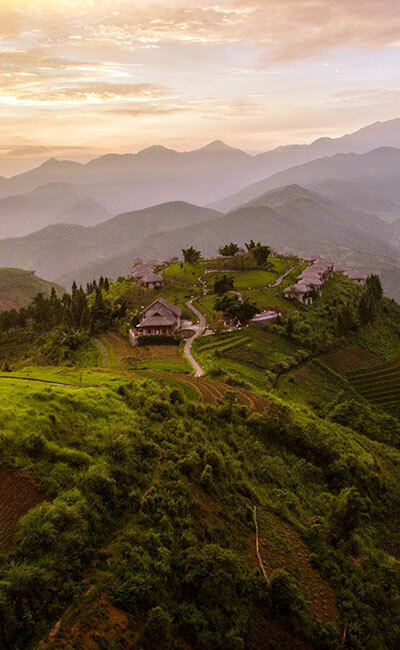 Located at the heart of Thai territory, about 160km from Hanoi, Mai Chau is at the meeting point of the Red River Delta and the northern mountains, thus enjoying a staggeringly beautiful landscape, through which several rivers run. Travelers will feel as if they are in a totally new country, as one journeys across landscapes of tiered rice fields to find accommodation with the locals. 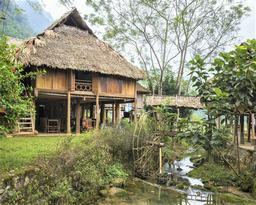 Indeed, the best way to spend a night in Mai Chau is to stay with the villagers in a traditional stilt house. It’s the ideal opportunity to share some moments with a White Thai family – the local ethnic minority – and better understand their way of life. White & black Thai, Hmong, Zao, Muong, Tay people. Walking, Cycling, Trekking, Bird Watching. Commonly known as “Halong Bay On Land,” this region is quite famous for its multitude of sugar loaf mountains, towering over rice fields, which provide a surprising and unusual landscape for travelers. In this other-worldy paradise, travelers will discover the charming little town of Hoa Lu, which used to be Vietnam’s capital city under the Dinh dynasty in the 10th century. There are now only two temples left, which were rebuilt in the 18th century: Dinh Tien Hoang and Le Dai Hanh, with the imposing Yen Ngua Mountain in the background. 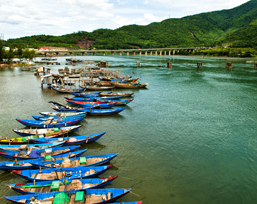 In Tam Coc, guests and travelers will be able to navigate the Ngo Dong River on Sampans, propelled by friendly local paddlers. Alongside three impressive rocky peaks, travelers can even discover and pass through 3 caves, which gave the region its name (Tam Coc). Mui Ne is a coastal resort town in Phan Thiet – the capital of Binh Thuan province, about 4 hours by bus from Ho Chi Minh City. One of southern Vietnam’s popular beach destinations, Mui Ne is a 12-kilometre long sweeping bay that boasts beachfront resorts. Twenty years of development have transformed the once sleepy fishing town into a water sports mecca, most notably for kitesurfing. With Ho Chi Minh City a mere four hours away, it’s an attractive option for travellers looking to jump into a beach holiday from the city. 300 kilometers south of Danang, Quy Nhon is a nearly-hidden, recently established holiday resorts, boasting miles of deserted beaches, natural creeks, a few islets, and a diverse range of beautiful inland landscapes. While the town of Quy Nhon was only founded in the 18th century, many signs suggest the area was already inhabited by people of the Champa culture as far back as the 11th century. It developed the growing town’s seaport of Thi Nai for both trade and military fortification. Today the port is mainly used for trade and Quy Nhon is slowly being discovered as a great destination for a relaxing getaway thanks to its soft sandy beaches and the beautiful landscape around the city. It is, above all, a city characterized by the various occupations of the colonial era, and many buildings in the city center are reminiscent of a French presence. Modern office skyscrapers, amidst Oriental style pagodas and food stalls along the street, create a dynamic urban area in a very special sense. It is not oddly tidy like Singapore, nor does it feature urban slums, as are unfortunately omnipresent in larger cities in the likes of India. Because of its strategic position close to the Mekong Delta and at the meeting point between Cambodia and Laos, it has always been a very commercial city and aptly nicknamed “Vietnam’s shopping center.” Ho Chi Minh City is also characterized by its particularly varied cuisine – so be sure to chow down! Exploring historical landmarks, nightlife, shopping, dining experiences. Halong is a beautiful, natural wonder in northern Vietnam, where approximately a three-hour drive east of Hanoi . 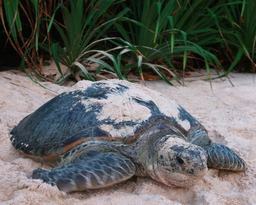 The Bay is dotted with over 1,600 limestone islands and islets, and covers an area of over 1,500 square kilometers. Being a coastal city, it has unique potential for tourism, and as a seaport, due to the fact it lies along the extensive, 50 km shore, and is just 160 km to the north-east of Hanoi. The city is divided into two parts: Bai Chay is the tourist area with plenty of hotels and restaurants, and Hon Gai is the local area with businesses and markets. The two parts are connected by the enormous Bai Chay Bridge, and this entire, extraordinary area was a UNESCO World Heritage Site from 1994. For many tourists, this place is like something right out of a movie, and has, indeed, been featured in quite a few! The fact is that Halong Bay features a wide range of biodiversity, while the surrealistic scenery has indeed featured in endless movies, giving you a truly, mathematically beautiful experience. 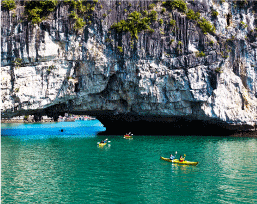 Junk cruise, kayaking, visit fishing villages, cave discoveries. Located in southern Vietnam, 125 kilometers From Ho Chi Minh City, Vung Tau is now considered a popular weekend escape From the hustle and bustle of Saigon. This is no surprise, since Vung Tau enjoys a spectacular location on a beautiful peninsula, surrounded by mountains and the city, and, to top it off, a perfectly cool climate throughout the year. There are not many other cultural monuments to speak of, but Vung Tau enjoys plenty of colorful and rich cultural festivals like the Dinh Co Festival, Nghing Ong Festival, Dinh Than Thang Festival, and The Blessed Virgin Mary celebration..
Pu Luong is located on the cusp of the Hoa Binh and Thanh Hoa provinces, about 160 kilometers southwest of Hanoi. This destination attracts many adventurous travelers with its significant features like sheer, limestone mountains and deep, fertile valleys characteristic of the region. Here, travelers can meet diverse ethnic groups by staying in local homestays, engaging with the people, and appreciating the landscapes that make Vietnam so special. However, due to limited road accessibility, the area has remained well off-the-beaten-track for most international travelers. Sapa’s main attraction is not so much the city itself, which is truly lovely, but the fact that it sits above all the landscapes of the surrounding valley, its villages, its markets, and of course, the numerous ethnic communities living in the region, making it a very special place to truly “touch the sky.” Traditional costumes of amazing multi-colored fabrics, vibrant markets surrounded by high mountains, and majestic rice fields with seasonally-changing shades all combine to make the region of Sapa, undeniably, one of Vietnam’s jewels. 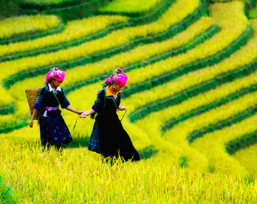 In addition, Sapa offers travelers some wonderful treks or gentle walks in the mountains, local markets, bicycle rides through villages, and home-stays with locals. 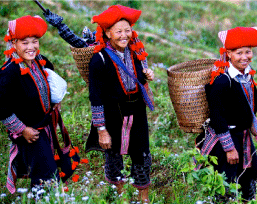 Sapa and its region instantly inspire the desire to discover Vietnam’s authentic culture and meet new, local people. We are pleased to announce that the Government of Vietnam has agreed to extend a 3-year Visa Exemption period for British, German, French, Spanish, and Italian citizens, which will come into effect from 1st July 2018 and run until 30th June 2021. This unilateral visa exemption is being granted by Vietnamese Authorities to citizens from these countries in order to promote tourism in Vietnam. According to Vietnam immigration law, to be eligible for visa exemption, a traveler’s passport must have at least six months validity. 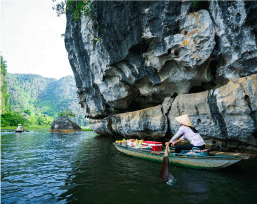 Length of stay in Vietnam is to not exceed 15 days from the date of entry and is for a single entry visa. If length of intended stay is more than 15 days, then the traveler is not eligible for exemption and will still require a Vietnam Visa in the normal manner. Travelers wishing to enter Vietnam using this visa exemption will need to show their return air ticket. 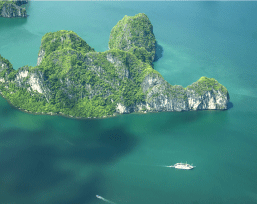 Travelers who enter via a land border checkpoint or by cruise are not required to apply for a Vietnam Visa in advance. For those who have visited Vietnam before, this new entry date must be over 30 days since the previous exit date in order to re-enter with visa exemption. Travelers who exit Vietnam to another, third country (but not their home country) and then return to Vietnam within 30 days from their exit date may apply for a Visa on Arrival directly at the airport without the normal Visa Pre-Approval letter. The validity of this Visa on Arrival will be according to the return date on the flight ticket, but no more than 15 days. The e-Visa is an electronic travel authorization from the Vietnam Government for up to 30 consecutive days, issued in PDF format. It is the equivalent to a visa, but no stamp or label is placed in the passport. Visitors with e-Visas can touch down at any of Vietnam’s eight international airports, including Tan Son Nhat in Ho Chi Minh City, Noi Bai in Hanoi and Danang in the central region. They can also arrive via land at 13 international border gates, and via sea at seven ports across the country. Travelers who do not belong to the list of visa exempt countries like Switzerland, Ireland, and so on (around 30-50 countries). Travelers who are from visa-exempt countries but wish to apply for a multiple-entry visa. For example: A traveler who holds a French citizenship applies for entry twice, each of which is less than 30 days, separate. For the first time, he/she is granted with visa exemption. And then for the second time, he/she can apply for e-Visa or vice versa. Travelers who are under bilateral admission for visa exemption (within ASEAN countries) for a minimum stay of 30 days. Travelers who apply for entry through international road gates like Tịnh Biên, Mộc Bài and so on (since the facilities there do not allow them to process the e-Visa acceptance). Travelers who are from “sensitive” countries like Pakistan, Turkey, Nigeria, some Muslim and African countries, and so on. Travelers from countries/territories those are excluded from the e-Visa admission list. Travelers who can apply for an e-Visa but have already had the immigration department dispatch will be able to choose between continuing with the regular visa procedure or converting to the e-Visa. However, it is advised that travelers should consider changing to the e-Visa application to reduce the visa fee. This conversion would take a little more time as the submission process has to start over again. The traveler will need to present a printed copy of the e-Visa (with Vietnamese national code and QR code) along with passport upon entry to Vietnam. The visitor should re-check the permitted time of residence on the stamp (with “EV” sign) at the Immigration Booth in case the officer forgot to stamp the time into the visa exemption. Visa fee for foreign children under 14 years old shall not be different; the entry fee is 25 USD (Circular 219/TT – BTC 10/11/2016). Example: The traveler under the age of 14 who visits Vietnam with a 1-month multiple visa will only pay 25 USD instead of 50 USD for a visa, as opposed to the traveler who is older than 14 years old. Russian citizens are offered a free 15-day visa for visa on arrival and a visa obtained at an embassy (applicable to Russian citizen holding an official passport), but must pay the online fee for an e-Visa. The standard visa is a tourist visa, valid for a 1-month stay, or the tourist visa, valid for a 3-month stay. You can apply for a tourist visa at the Vietnamese embassy in your country. Be aware that your passport must be valid for 6 months beyond the last day of your stay in Vietnam and that you must have one blank page left for the visa stamp. To apply for a visa, you must fill in a form (1 copy) that you can download from the website of the embassy of your country (or that you can collect at the embassy), 2 identity photos (recent one: less than 6 months old) and your passport. Then, you have to go to the embassy with all the papers and the money for the visa fee. In some countries, you may be able to apply for the visa via post by sending all the papers, a money order, and your passport together with a second envelope with your home address on it (to have your passport sent back to you) to the embassy. The embassy will send your passport back with the visa stamp inside. Check with your local Vietnamese embassy. Europe@easia-travel.com (Eastern Europe Market: Hungary, Romania, Czech Republic, Slovakia markets). Easia Travel will send the authorization to the Vietnamese embassy of your country and when ready, you will be able to collect it before your departure to Vietnam. The cost of such service is 15 USD per person. However, you still have to pay for the visa fee when you collect it at the embassy. The time needed for the entire process is around 15 days. Easia Travel can take care of the visa procedure upon your arrival at the following airports: Hanoi, Danang, and Ho Chi Minh City. Just follow the procedure described below. Make sure each passport has two blank pages for the necessary visa stamp available. Validity of passport: In Vietnam, a passport must be valid 1 month after the date of departure from Vietnam; for other Asian countries, passport must be valid at least 6 months after the planned date of departure from Asia. The traveler’s passport number must appear on all documents: the excel file and visa forms. This information is required by the Ministry of Public Security in Vietnam for a visa application. The time limit to obtain a visa is 24 hours for an urgent procedure with an added surcharge applied or 5 working days for normal tourist visas. If you do not use a computer, kindly send to us a copy of your passports with legible passport number by mail. It is important to indicate clearly the specific airport in Vietnam where travelers will get their visa including: airline, time, date, and number of the arrival flight. Our office in Hanoi will send you the visa permit by fax and/or by email. At the same time, each of the travelers must fill in one (1) form NA1, a visa request, on which they must attach a recent identity photo (less than 6 months old). Photocopies of photos are not accepted. Attention: It is very important to use the same passport number on the excel file and on the form of the visa request. You must keep this form which will be requested at the time of checking-in at airports and on arrival in Vietnam. Do not send the NA1 form to the embassy of Vietnam in your country; keep this document with you. When you check-in at the departure airport, you will have to show a copy of the authorization, NA1 form (completed with a photo attached) and your passport. Warning: if you do not have the authorization letter to show the airline check-in staff, you will not be permitted to board the plane. When you arrive in Vietnam, you will have to present yourself along with the NA1 form to the visa upon arrival desk, before proceeding to the immigration desk. – You can do everything by yourself: prepare the money and pay for your visa. In VND or preferably in USD. Paying in Euros is possible, but not encouraged. – You can ask for help from our staff (pre-arranged): our staff will wait for you at the airport within the immigration area with a board showing your name and will take care of the whole process with the immigration service. Your passport will be stamped when going through immigration. You won’t have anything to pay at the airport. After, you will be able to collect your luggage at the luggage belt before proceeding through customs. Visa VIP A: In this case, you won’t have anything to do and will go directly to your hotel room. Our staff will take care of the visa process and will collect your luggage (you have to give us information about it) and will bring it to you. This service is only available at Noi Bai International Airport in Hanoi. President VIP Visa: Our staff will wait for the traveler directly outside the plane with a car to go to the hotel. Our staff will take care of the visa process and will collect the luggage to bring them to the hotel. This service is only available at Noi Bai International Airport in Hanoi. If a child is present on his/her parents’ passport, the child won’t have any fee, but it is still necessary to give all the information about him/her in order to apply for a visa authorization. If the traveler has to exit Vietnam and re-enter the country several times during their stay, they will have to apply for a multiple entry visa. 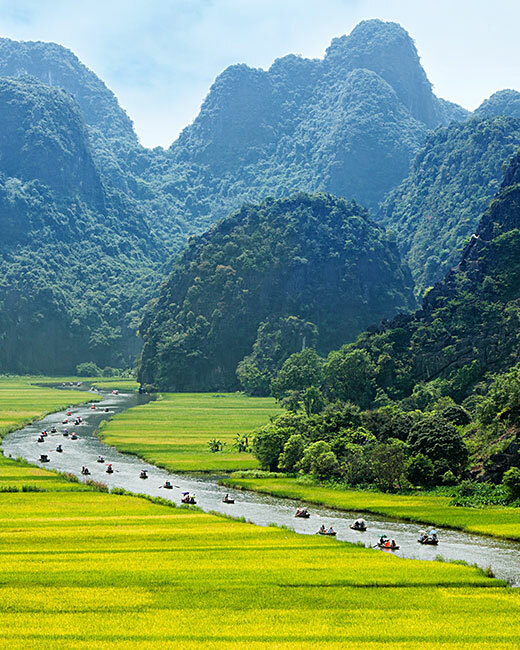 When the multiple visa is granted, the traveler can enter Vietnam as many times, without limitation, as the number of entries or the length of stay for each entry within the granted visa allows. Foreigners that travel by air are required to obtain the Official Transit Dispatch by Vietnam Immigration Department. Maximum length of stay is 72 hours. Requirements for entry and exit and 1 international airport gate. Does not apply to land border gates. The visitor must be traveling to a third country, which cannot be the country of arrival (for example, from Bangkok to Hanoi to Singapore – the visitor cannot travel back to the country they started in, like Bangkok to Hanoi to Phuket). If by some chance you do not have any authorization or visa before arriving in the country, Easia Travel can take care of the situation upon your arrival at the airport. Some fees will be charged over and above the usual fees for this service. The last 4 documents can be provided by Easia Travel. The fee for the service will be higher (about 80 USD in addition to the normal fee). The time to obtain the visa authorization is also longer (about 10 working days). 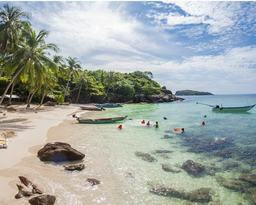 According to overseas entry, exit, and residence regulation for Phu Quoc Island, foreign visitors and Vietnamese nationals holding foreign passports are permitted to stay on the island without a visa for not more than 30 days. 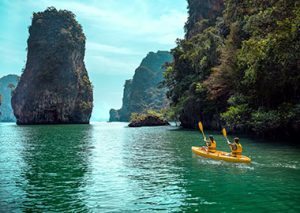 Foreigners who come to Vietnam via an international border (including land, air or sea), stay at transit area at the gate, and then travel on to Phu Quoc Island are also exempt from visa requirements in accordance with this regulation. The above information is provided to the best knowledge of Easia Travel specialists and will be updated regularly. 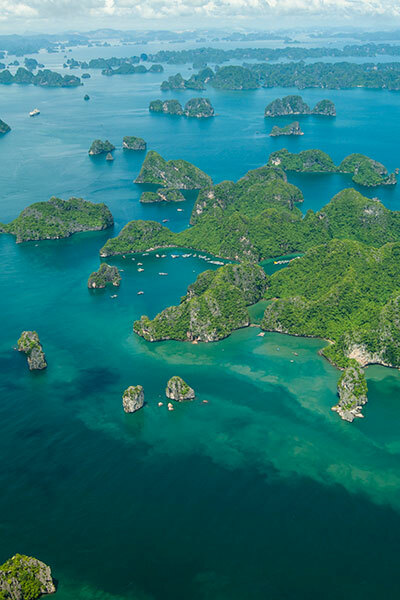 Traveling to Vietnam by air is quite easy as many airlines offer direct or indirect flights and more and more airports in Vietnam are open to international destinations. Today, the international airports are: Noi Bai in Hanoi, located around 45 minutes from the city-center (45km), Cat Bi in Hai Phong, Danang airport only 4km from the city-center, Cam Ranh located at around 40 minutes from Nha Trang city-center (30km) and Tan Son Nhat located just 20 minutes from the center of Ho Chi Minh City (6km). You can also travel to Vietnam by land, with the bus being the best means of transport to travel from Cambodia or Laos for example. Vietnam has land borders with China, Laos and Cambodia. Mong Cai (Quang Ninh) – by land: located at the northeast end of the country, this land border is accessible by road. Huu Nghi (Lang Son) – by land: located 18 km from Lang Song city. Lao Cai (Lao Cai) – by land or railway: accessible by train from Hanoi, the route goes via the Hekou bridge. 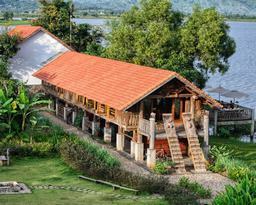 Cau Treo (Ha Tinh): located 80 kilometers from the city of Vinh on the route to Vientiane (Laos’ capital city). 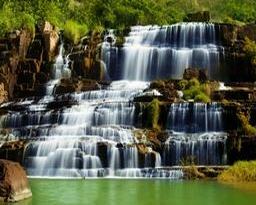 Cha Lo (Quang Binh): in Dan Hoa province, accessible via the road 12A from Ba Don – Quang Binh province. Lao Bao (Quang Tri): at 150 km of Hue, on the route to Savannakhet in the South of Laos. Land borders Cambodia /Vietnam: (visa available at most land borders). 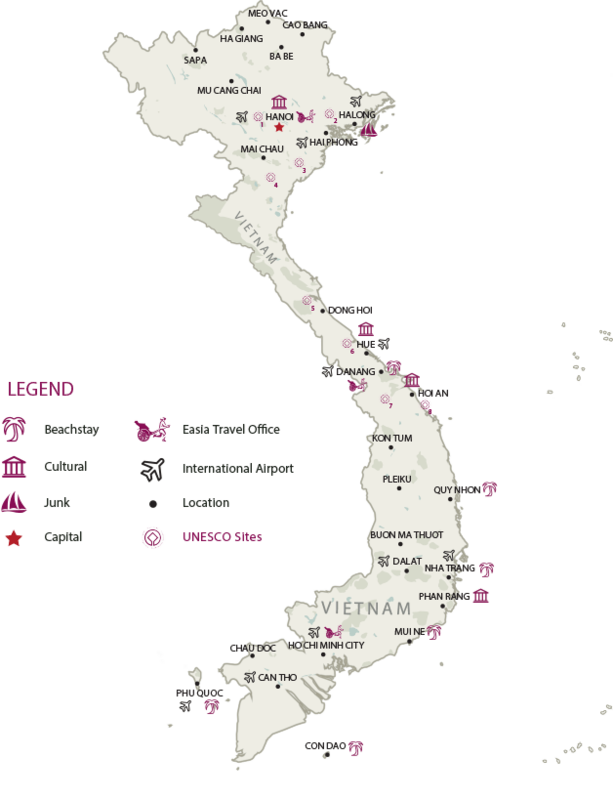 Vinh Xuong + Tinh Bien (An Giang): enables access directly to the Cambodian seaboard. The bus network is fairly well developed in big cities and is also a good way to get out of the inner city to visit some villages or other sites located in the suburbs and beyond. The inconvenience is that long distance buses usually depart from bus stations located some kilometers from the city center, so it is necessary to take a taxi to first reach the bus station. The bus is also a good means of transport to travel from one city to another and discover other outlying regions of the country. Many private companies offer bus services. Most of the time, buses are minivans, but you can also take night buses (buses with bunk beds) for longer trips. Those night buses are generally a very good alternative to the train which is often substantially more expensive. You can buy tickets and ask information at travel agencies and hotels in order to choose the bus service that matches your requirements (time of departure/arrival, place of departure/arrival, price etc). Please bear in mind, that even though the bus network is quite well developed, roads are often in bad condition and buses have to go slowly sometimes and stop often to pick up and drop off passengers. Transfer times are usually counted in hours and not in kilometers. Moto-taxis (Xe Ôm) are everywhere! On any street corner, parked on sidewalks, moto-taxi drivers will enthusiastically offer you their services wherever you want to go. Moto-taxis are a good alternative to a car taxi as they are more able to infiltrate the dense traffic of cities such as Hanoi or Ho Chi Minh and can save a lot of travel time. Besides, travel by motorbike taxi is fun and a great way to get up close and personal with the sights and sounds of Vietnam. Please be aware that you should fix the price before the departure. Don’t hesitate to bargain. Caution: the driver should provide you with a helmet for the ride as helmets have been compulsory since 2007. If the driver does not give you a helmet, just find another driver. If you are overly concerned about comfort and safety, moto-taxis aren’t really made for you, however if you are in a hurry and a bit intrepid, moto-taxis will be one of your best friends. 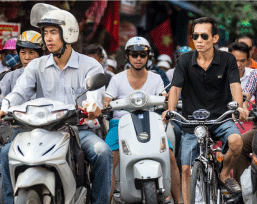 Motorbikes are the main means of transport in Vietnam but even though most locals drive them, the law clearly forbids any foreigners without a valid Vietnamese license from driving a motorbike (international licenses do not apply in Vietnam). Indeed, traffic is really dense and the risk of accidents is real. Besides, most travel insurance policies do not cover travelers for motorbike accidents. However, if you really want to move around and drive like the Vietnamese do, you won’t have any problem finding an agency or a hotel that rents motorbikes (automatic or semi-automatic) with helmets to foreigners. If you want a means of transport more peaceful you can also rent a bicycle. However, be aware that as for motorbikes, biking in the dense traffic of city-centers may be a bit scary and potentially dangerous. This is why we recommend you to wear a helmet and limit your bike riding to the countryside and suburbs, and outside of rush hours. One thing is for sure, riding a bike in the countryside and through villages will definitely be appreciated by the local people somewhat bemused to see foreigners making such an effort. Expect lots of smiles and happy hellos, even the occasional invite to stop and share a cup of tea. The train is a convenient means of transport in Vietnam. Transfers are secure and quite comfortable if you choose the “soft seat” or “soft bunk” classes. However, the railway network still has to be improved and travel times remain quite long (even really long). Thankfully, some Express railway services have been created, like the one between Hanoi and Ho Chi Minh City, called the Reunification Express. We recommend you to preferably choose trains registered as SE rather than those registered TN, if you want to save time (a lot of time). Renting a car is forbidden for foreigners to drive (apart from expatriates with a Vietnamese license); however it is possible to rent a car with a driver if you want to travel alone or with your family. Flying is the fastest and most convenient way to travel long distances in Vietnam. Moreover, airline tickets purchased in Vietnam are quite cheap, whether you want to take a domestic flight within the country or an international flight to a neighboring country. For a Vietnamese, it is important to know the age of a person, before their job or even their wealth, as it is what defines their status. 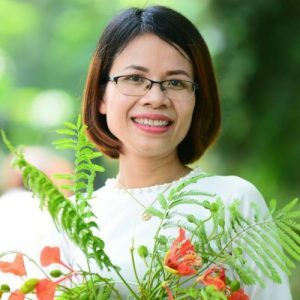 Thus, being ‘old’ is a positive attribute in Vietnam and asking a person how old they are is something common and well appreciated. Please ask permission from locals before taking a photo. Particularly in the countryside or in the high lands. Take off your shoes and socks before entering any religious place. Let them both at the entrance and walk barefoot in the temple or the pagoda. Wear tee-shirt and shorts hiding at least your shoulders and your knees. Ideally, to avoid any problem wear trousers. Traditionally, when you want to offer something to someone or when you receive a gift/object from someone, you have to use both hands. Never hammer (tap) your chopsticks into your food (rice). This gesture reminds people of a ritual performed during a funeral. Major currencies can be exchanged practically anywhere in Vietnam, but not all exchange facilities are created equal. It can be easily exchanged in authorized shop and the banks (Vietcombank, BIDV, Techcombank etc..). Banks in major cities like Hanoi and Ho Chi Minh City will let change foreign currencies and most travelers’ checks. Always bring new notes; any damaged or dirty notes will be charged an additional two percent of the note’s face value. International credit/debit cards such as VISA and MASTERCARD are accepted in most ATMs and shops/stores that accept card payments. With a foreign card, a small percentage of the amount withdrawn/paid will be charged; however this amount remains quite low. The money withdrawn at ATMs is always in Vietnam Dong. Only banks located in big cities such as (Hanoi or Ho Chi Minh) keep accepting traveler cheques. We recommend you to have another means of payment. 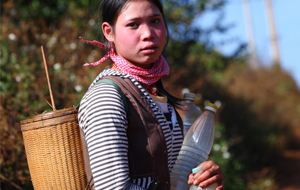 Bargaining is part of the Vietnamese tradition. You have to bear in mind that everything (or almost everything) is worth a certain price, but the price varies (sometimes a lot) according to the client. You can be sure that with your foreign face you won’t be offered the best price… so bargaining is essential! You can even halve the price or even more sometimes. Be careful, however, not to offend the vendor and to keep smiling and stay polite in any circumstance. Don’t push too much and do not bargain in any place it is not welcome: shops with fixed prices are not open to negotiation. Tips are not part of the tradition of Vietnam. However, in some situations and thanks to the many generous travelers that have preceded you, tipping is becoming more popular. For example, you can tip your guide after a whole day or several days of travel. You can also tip luggage porters and taxi drivers. It is not usual to tip a waitress/ waiter. When visiting temples or pagodas, you will usually see some donation boxes near the entrance/exit in which you can place some money. In this case, we do not call it tips but donations, dedicated to the maintenance of the site. Vendors and other people within the venue may also invite you to pray with them with an incense stick, but if you accept, some of them will likely ask you for some money in exchange. Officially, no vaccinations are required to enter Vietnam apart from travelers coming from countries with yellow fever transmission risks. However, if you travel to Vietnam you should do everything possible and take all required precautions to avoid becoming ill during your trip. Make sure that all your vaccinations are current and that you are vaccinated for Tetanus, Polio and Diphtheria. Other vaccines recommended include Hepatitis A and Hepatitis B (if you are in-country for over 3 months), Typhus and Tuberculosis, vaccinations against rabies and Japanese encephalitis are also advised. Drink plenty of fluids during the day (2 liters). Do not drink tap water in Vietnam. Only bottled water is drinkable. Avoid eating unpeeled fruit or raw vegetables and ice. Most important: trust your gut feeling. If you don’t like your food, stop eating and do a double check when eating from street vendors. Make sure your passport is valid for at least 6 months before the expiry date and that you have the correct visa. Have a look at the visa requirements for more information. Consider medical, baggage and trip cancellation insurances. Check with your doctor the vaccinations and medicines needed. A lightweight vest with lots of pockets will be handy for carrying your camera (and film) and binoculars. Long trousers made from a lightweight, quick-drying fabric should have multi pockets for day trips. Long trousers that turn into shorts are ideal. Footwear: You will need some sturdy comfortable boots for trekking or just walking around. They will need to support your ankles as well as having a nonslip sole. Cold-symptom relief tablets, antihistamine, cough drops. Adequate quantity of sweat-resistant sunscreen with at least an SPF 15 rating or higher, and lip balm with sunscreen. 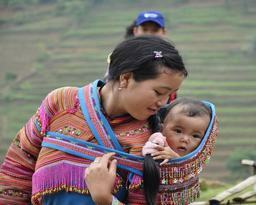 Tet Nhay is held by the Dao people in the Ta Van region, near Sapa, and falls on to 1st or 2nd day of Tet. This festival is a true and deep expression of the Dao ethnic identity, made up of several days’ worth of rituals to honor both ancestors and Gods. People specifically pray for a peaceful New Year and show their respect for the Gods. Every year, after the 1st Dragon Day of the 1st lunar month, the Giay minority in Ta Van village, Sapa, will celebrate their Roóng Pooc Festival to pray for fantastic harvests, good health, and favorable weather. Many travelers share that the best and most fun parts of the whole festival are taking part in these traditional games, right alongside the locals. Then comes “Con throwing.” Men and women stand, two lines facing one another, throwing six colorful cloth-balls into the air. The holiday is heavily influenced by Chinese culture, even taking place on the same day, but is ultimately a uniquely Vietnamese tradition. This is the biggest national holiday, and can be compared to Christmas in Europe. Most of Vietnamese people will take a week off from work and gather with their family and friends in their hometown to celebrate. The Perfume Pagoda, 69 kilometers outside Hanoi, is doubtlessly the most famous Buddhist pilgrimage site in northern Vietnam. Hundreds of thousands of pilgrims reach this sacred cave to pray for happiness and prosperity in the coming year. Pilgrims are ferried by local women along the Yen stream through blazing green rice paddies and jagged karsts around Huong Mountain. Giong Festival is annually celebrated in spring time in several parts of Hanoi in order to commemorate Saint Giong, one of the “four immortals” of Vietnam. According to cultural experts, the festivals held in the Phu Dong (where Saint Giong was born) and Soc Temples (where he ascended to heaven) are the most meaningful and notable, which have been recognized by UNESCO as pieces of Intangible Cultural Heritage. The Lim Festival is held in Lim village on the 13th day of the 1st lunar month, 18 kilometers outside Hanoi. Lim Village is the hometown (and performance grounds) of Quan Ho, a special kind of folk song and one of UNESCO’s Intangible Cultural Heritage. In addition, visitors come to the Lim Festival to enjoy the weaving competition between the girls of the little town of Noi Due: they weave and sing Quan Ho songs at the same time, giving an incredible performance. The Whale Worship festival, held in Vam Lang Village, pays respect to a whale that earned the title “Lord of the Southern Sea” by the 19th century king, Gia Long. The worship of whales in Vietnamese culture is vital to believers who seek protection at sea all up and down the coast, and especially for those who pray to the remains of two whales in the Lang Tan Temple near Dalat. After the Lunar New Year (Tet Nguyen Dan), the huge festival Tet Nguyen Tieu is held throughout the country. Tet Nguyen Tieu is considered a deeply traditional cultural festival, which is held to maintain and develop the national personality and presence of Vietnam’s Chinese community. Meanwhile, this festival contributes to an even more jubilant atmosphere during the New Year holidays, especially around large Chinese communities in Ho chi Minh City and Hoi An. Upon spring’s arrival, Hoa Lu, the ancient imperial city, welcomes millions of Buddhist followers to attend the Bai Dinh Pagoda Festival. The Bai Dinh pagoda complex is nestled in Bai Dinh Mountain, Ninh Binh. Both ancient and modern pagodas, the latest of which dates to 2003, make up this incredible complex. The Hon Chen Temple Festival is organized twice every year, on the 3rd day of March (during the spring festival) and July in Lunar calendar (during the autumn festival). 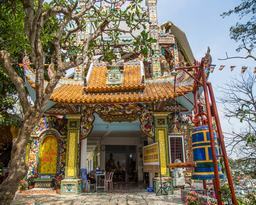 The festivals take place at Hon Chen temple, 10 kilometers from Hue. The Phu Day temple, located about 55 kilometers East of Hanoi, was built to pay tribute to Lieu Hanh, a princess who died at a young age in the 16th century, and was later considered to be one of the mythical “four immortal gods” in Vietnamese culture, much like Saint Giong. Another piece of UNESCO Intangible Cultural Heritage, this festival is a center of belief for the worship Mother Goddesses. Chanting, singing, and even spiritual trances make this an incredible sight to behold. The Thay Pagoda Festival, held just 18 miles from Hanoi, celebrates Tu Dao Hanh’s life with a procession of the monk’s worshipping tablet, borne by representatives from four villages. The area around the Thay Pagoda is well-known for its beautiful Long Trì Lake, in the middle of which is a large water puppet theatre house. The area also boasts two beautiful wooden bridges with curved tiled roofs, and many beautiful mountain caves. The Hung King Temple, located on Nghia Linh Mountain 85 kilometers from Hanoi, hosts a grand festival for the Hung Kings – instrumental figures in founding Vietnam – which lasts for 3 days, from the 9th to the 11th of the 3rd lunar month. The 10th and main festival day commences with a flower ceremony, in which even state representatives participate. Artisans and handicrafts people from all over the country will attend this festival, which will mark the 120th year for the city of Hue. The event is expected to be more commercialized, in which participants get to promote and sell their products to visitors. The city will be beautifully decorated, especially alongside the Perfume River, in order to create a sort of “poetic” atmosphere for visitors to enjoy. Le Mat is a small village in the Viet Hung ward, around 7 kilometers from Hanoi. The little hamlet is famous for its tradition of catching snakes and cooking them into delicious dishes. The village honors this long-standing tradition on the 23rd day of the third lunar month, to worship the village’s tutelary god of the Hoang Family, whom legend says saved the king’s daughter from a terrible river snake. Vietnam’s Liberation Day marks the capture of Saigon on the 30th of April, 1975. The streets are generally decorated with lights, balloons and flowers to mark the occasion. Sam mountain, located 5 kilometers from Chau Doc town in An Giang province, is the center of a historical complex of the old Tay An Pagoda, Ba Chua Xu Shrine (Goddess of the region), Hang Pagoda, and the Imperial Tomb of Thoai Ngoc Hau (Thoai Ngoc Hau (1761–1829), a high-ranking madarin served under Nguyen Dynasty and recognized by his faithful service). Tet Doan Ngo, also known as Chinese Duanwu, is celebrated on the 5th day of the 5th lunar month – the “middle day of summer.” Traditional dumpling-eating, especially “ash-water” dumplings, extends from the belief that these dumplings cleanse one’s body of any unwanted “parasites” or “worms”, just like the land. Ooc Om Boc (or Ok Om Bok) is one of the three biggest festivals among the ethnic Khmer community, especially those in the Tra Vinh and Soc Trang provinces. Originally, the festival involved worshipping the moon, giving thanks for good harvests, as well as praying for future, abundant harvests. Also, according to Khmer custom, the tenth Lunar month is considered the end of the year; hence, the festival’s purpose is to celebrate a new year in the Khmer calendar. Dalat Flower Festival takes place every other year in Dalat, as well as some smaller localities in Lam Dong province. Held for the purpose of exhibiting Dalat’s incredible flowers, vegetables and ornamental plants, the festival welcomes produce and products from local, regional, and even international contributors. In addition to incredible produce and traditional products from around the region and world, residential areas put on splendid flower displays and local fairs promote further trade and tourism. 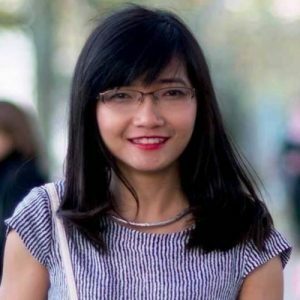 My name is Hoang Anh Doan, born in 1994 – a Libra 🙂 I’m working as Sales Executive in Incentive/MICE segment – Sales Department, Hanoi Office. 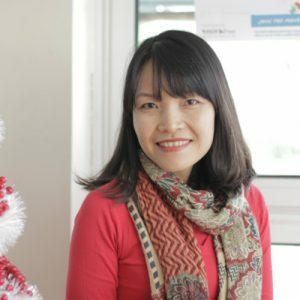 My first job was in a special school for handicap children in Danang, Vietnam which was quite flexible in time and working location so… this is my first time working in an office. 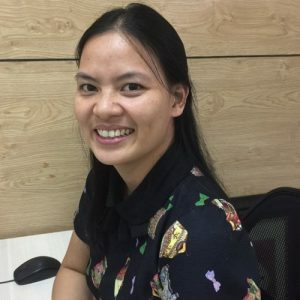 Unlike what I imagined before about it, the environment in Easia’s Hanoi office was quite friendly and intimate: everybody is saying hi or smile to any others, coworkers are always supportive and open-minded. To be honest, I’m really having 7 happy days/week working & hanging out with my team. Other than travelling, I extremely love gardening and film photography. I also like playing guitars and reading Haruki Murakami’s books. I was born and I grew up in Hanoi, the capital city of Vietnam. I love my city for its peaceful atmosphere, local food, and many other little things which I could experience everyday and I am not able not to list all of them here. I joined the Easia team 3,5 years ago. Nexttrip on mylist: Japan to explore how amazing its natural landscapes and culture are. When Iam not working or travelling, I like going outside with friends or cooking a tastymeal for the whole family. Joining the tourism industry after I graduated was the first of my many adventurous journeys. I thought I would be anxious, but I’ve learned so much! I have learned and experienced so much on our multi-activity trips, from Minsk tours around the northwest to the northeast of Vietnam, long trekking and homestays in the Sapa area, and kayaking in Halong Bay, to our most recent e-bike journey through the mountainous jungles of Laos. Each trip has inspired me greatly and strengthened my desire to explore more places, especially those that are off the beaten track. I started working in tourism field 18 years ago. “ Life is a trip” and I’m so happy to continue my trip with Easia Travel in August 2017. I would love to spread my passion to my colleagues and my clients. Our professionalism and our devotion will make every client’s dream come true when they are travelling with us. I was born and raised in Hanoi – the capital city of Vietnam. It’s difficult to specify what the most thing I like about my hometown because I love everything about it no matter how it changed speedily. But the drizzle during the rainy season leaves the deepest impression on me. It drizzles over the day, sometimes prolongs for a week. That makes the road slippery and dirty, the locals annoyed and the weather more humid. I recognize that the drizzle challenged my patience and built up my personality. As a result I know how to smile when it’s raining suddenly or for the whole day long even a week. I’ve been working in Easia Travel for almost a year. 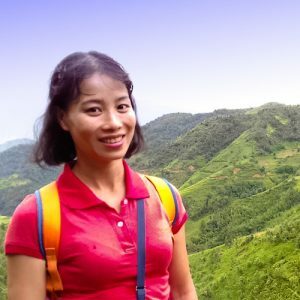 The most memorable trip I had with Easia travel is the time we went to MAI CHAU for several reasons. Firstly ,this was the first time I took a trip with people from different countries : French , Italian and Vietnamese, interestingly we had a English speaking guide, as we know all the foreign languages we acquired, definitely have a strong influence on your mind. Therefore we had a row ‘bout waking or biking around the village luckily thank to the guide we all settled down with the decision of walking. Secondly the walking day was the best choice ever because the valley was filled up with lush vegetation, moreover we had a chance to observe the daily life of the locals. Now I desire to go to antique citadel of Vietnam Hue because the Hue cuisine is well-known and I would love to taste some signature dishes, besides from Hue I can set off to Hoi An and Danang. I want to promote our country’s image to the world. Hello! My name is Ngan. I was born in Hai Phong, next to Ha Long Bay. But now, I am living in Hanoi – a heart of Vietnam. 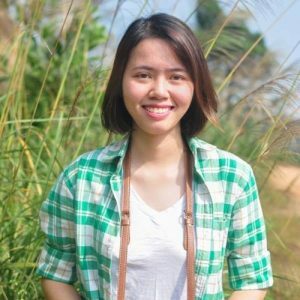 I have been living in Hanoi since 2010. It is not a long time, but it is enough to I know and understand Hanoi. I love this city to its core, and it is my privilege to show people from all around the world how beautiful this city and my country are. 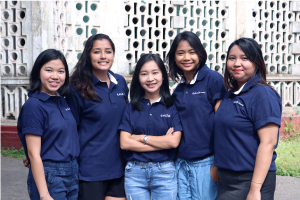 Since joining Easia in 2014, I’ve learnt a lot more about my country and “our neighbors” Laos, Cambodia, Thailand. I have also been able to travel as well whenever possible. I found my favorites job at Easia already. Aside from traveling, I am a fan of books. When I have free time, I like to sit at balcony of my house to enjoy café and read book. I was born and raised in Phu Tho province, around 120km from Hanoi in the North. My native country is famous not only for the Hung king, whose Government annually celebrates his birthday in 10 March but also for palm grove and tea plantations. When I am tired because of the stress of work, of life, the only thing I want is to go home to enjoy the fresh atmosphere, the smile of my parents or the amity of the neighbors. I started working with Easia Travel in December 2010 as a sale executive. The most memorable trip for me was the Motivation trip in Phan Thiet with the company in 2015. Thank to the opportunity that I can meet, have fun with my colleagues come from Laos, Cambodia, Thailand, Myanmar and Europe. Every time I see the pictures, I cannot stop laughing. If I have a chance, I would like to travel to Europe, especially France as they have amazing culture, traditions, food and its people. I was born in the capital of Vietnam. I do love every corner of my hometown. It’s so hard to say out what I like the most, but if I have to choose i like its weather. There are 4 seasons: spring, summer, autumn, winter and autumn is the most beautiful time of year to visit. The trees turn into stunning orange and yellow hues, the perfect time to stroll around Hoan Kiem Lake. I was born and raised in a small town in central coastal region called Hoi An where I had many nice memories. I cannot forget the time when I cycled along narrow streets with rows of ancient houses after class. Although I have lived far from Hoi An for 10 years old, I keep in my mind the images of friendly and homely people here. Hoi An now is developing, the street is nicer than it was before but I still love Hoi An of the past most. When I left Hoi An, I’ve decided to choose Easia Travel in Danang office for working from 2008. Danang is my second hometown which is the 3rd largest city in Vietnam with fast speed of development. Many streets & building was built. 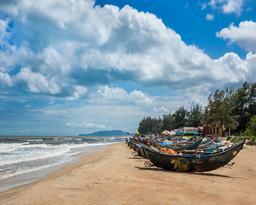 It has also a beautiful long beach from Son Tra Peninsula to Hoi An. Danang is the destination not only for many investors but also for talented person who could come here for doing business. I’m always proud of Danang. As an Easian, I joined company motivation trips and inspection trips. However, the unforgettable trip is the trip to Sapa- HaLong in 2008 when I had just joined Easia team. This was the first trip which I discovered the beauty tourist spots of Vietnam. From this trip, I was keen on travel. In my eyes, Vietnam is very beautiful, not only people but nature. So I’ve determined to choose to work in travel agent to discover many corner of Vietnam and show it to foreigner visitors. I was born and grew up in the village of Hanoi’s suburbs where about 10km south of city center is. Hanoi is a thousand year old city, has it all: the ancient history, a colonial legacy and a modern outlook. I like the most the Old Quarter with its old-styled narrow streets full of antique brick houses seems to nostalgically resist the flow of time while still actively trying to adapt to the dynamic atmosphere of the modern city. I started working with Easia Travel on 30th March, 2015 as Sales executive in French department. I love travelling and I have a lot of chances to go and discovery not only Vietnam and Laos. My most memorable trip was in Laos during my holidays of Liberation day 30/4 and Labour day 1/5 in 2016. The first time I have been alone for long trip in aboard. The neighbor country friendly welcome me and I gained lots of thing after this trip. 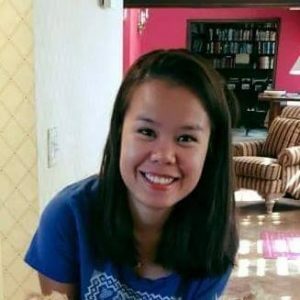 I always remember the nice day with my Laos friend in Vientiane, ziplining & tubing in Vang Vieng, elephant riding, swimming in Khuang Sy waterfall & biking visiting some temples in Luang Prabang. Especially, I had a new elder friend who I met on Phousi Mountain. I have a dream to travel to Europe, especially France known as the city of romance and is a city steeped in art and culture. I want to visit three of the most famous Parisian landmarks are the 12th-century cathedral Notre Dame de Paris, the Napoleonic Arc de Triomphe and the 19th-century Eiffel Tower. Moreover, I can meet my old French friends. Apart from work and travel, I like reading book, taking part in social activities. 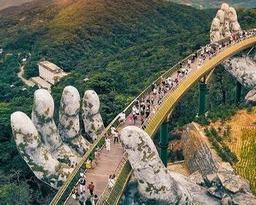 I was born in Nam Dinh, the peaceful city in a distance 90km to the South of Hanoi capital. I love fresh and cozy atmosphere of my home town, the friendly people and especially the tasty foods. 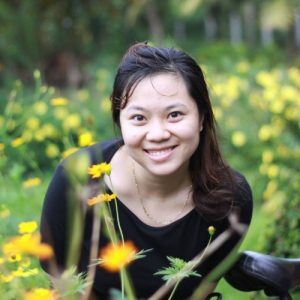 I joined Easia team in 2007, I have learnt a lot about the culture, peoples, wonderful sightseeing and the hidden places in Vietnam and also the brotherhood countries Laos, Cambodia, Myanmar and Thailand. My most memorable trip was Ba Be with Easia’s colleagues almost 10 years ago. It’s my first time to eat, sleep and playing in a stilt house with the lovely colleagues. I trekked through the forests, climbed up to the mountain to visit the house of ethnic peoples, did kayaking in the lake under the heavy rain, sat together and sang the favourite songs… all the memories of that trip are still in my heart. Bhutan is on my top of my travel list. I want to see the country on my own eyes, meet the local people in the happy land. Apart from working and travelling, I love doing yoga, plant the flowers and reading. I was born in Hanoi, the capital city of Vietnam. What I love most about my beautiful city are its friendly people and the tranquil life here. I officially joined Easia Travel at the end of May 2014, so I have been a here for 3 years. Being part of a big family like Easia Travel, I deeply feel the enthusiasm, the dynamic, and also the responsibility inside each person which with me is a great motivation. For me, the most memorable trip was my first time abroad in Myanmar for the inspection in 2014. That was my great chance to see the amazing Bagan, the spectacular Yangon, the peaceful Inle lake and the mysterious Mandalay. Further, I would never forget the moments when I first met my Burmese colleagues, we all were too excited to see each other after a few months working together in long distance. France now is on top of my travel wish list because it has been in my dream since I first learnt French in the university. I do hope to see the beautiful country France in the near future and I’m trying my best to make my dream come true. A part from working and travelling, I love joining the social communities and helping the disadvantaged people to improve their life. I think everybody is worth being happy and I myself feel happy when helping others. I was born and grew up in Hanoi, the capital of Vietnam. Hanoi is a very busy and chaos city all year long, but if you stay there during our traditional new year, you can see a completely different Hanoi, which is tranquil and peaceful, that’s the most thing I like about Hanoi, there’s always a meeting point of past and present existing here and you can see it when you slow yourself down and sit down at a corner of old quarter. 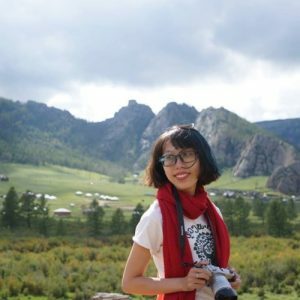 After considering seriously my passionate, I found out that I love travelling and that I want to share my culture, my emotions and my experiences about travel with others, so in 2015, I joined Easia Travel. The most memorable trip of mine was my trip from Hanoi to Hoi An by family’s car with my family, we planned all the program and logistic ourselves. That trip was impeccable not only for many beautiful sights along the route but also for the wonderful dishes in each region we passed. I’m planning for a trip to Japan in the future, I was there once but it’s clearly not enough for me – who is deeply in love with the culture of this country. Apart from work and travel, I enjoy reading books and watching movies. I was born and raised in Ha Nam province. 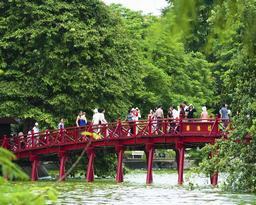 It is located on south of Red River Delta, southern gateway of Hanoi. 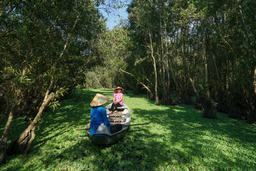 It is not hustle and bustle as Hanoi, it is a peaceful countryside where containing my childhood memories. Although I have now moved to live and work in Hanoi, I still remember everything there. I will never forget the smile of the people here, bike ride in summer afternoon along the green rice field to breathe fresh air, play traditional games with friends or enjoy our local foods. I started working for Easia Travel from December 2012 as Sales. I think that was the right decision, because I was doing my favorite job and learned a lot of things here from my managers, my colleagues and my clients. Until now I still cannot forget my trip to Cambodia in 2013. It’s hard to describe in words about this trip: the friendliness of the people, the mystery of Angkor temples, unique culture and delicious food. It is really worth to visit this country. I love travelling. I wish I can put my foot on all countries in the world. However, for this year Myanmar is at the top of my list for travelling. 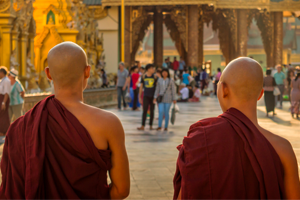 With beautiful countryside and spectacular, surreal temples and friendly, genuine local people, from the other worldly landscape of the 4000 sacred stupas scattered across the plains of Bagan to the impossibly golden glittering stupas of Shwedagon Pagoda. It is really excited when I think about it. Apart from work and travel, cooking has always been my passion. That is the reason why I send almost my weekend time at the kitchen. It is extremely great when you can treat your family or friends the delicious food by yourself. I was born in a lovely village located along the Day River and the limestone mountains in Ha Nam, one of Vietnam’s smallest provinces. I love my countryside for its warm atmosphere, for its friendly people and for its beautiful rice fields and mountains. I joined the Easia team from March 2017. My most memorable trip was in Phu Quoc island in 2014 where I saw the most beautiful beaches of my the country. I wish one day to come to France where is origin of my favorite language. When I don’t work and travel, I like hanging out with my friends, listening to music and singing. I was born and grew up in Haiphong, a maritime city, in the North of Vietnam. I love my small city for its nice weather, airy atmosphere, slow lifestyle and delicious local street foods. I joined Easia, 8 years ago, in 2009. My most memorable trip for the moment is still Myanmar in May 2012 with my colleagues and friends. At that time, it is the first time that this beautiful country opened its door with the worldwide and Vietnam Airlines just launched the direct flight Hanoi – Yangon. I discovered amazing landscapes, nice and smiley people and especially an absolute peaceful moment at a stunning sunset on local boat in the Inle Lake that I have never had this experience before. When I am not working or travelling, my favorite time is spent for reading, listening to the music, cooking something at home or meeting with friends. 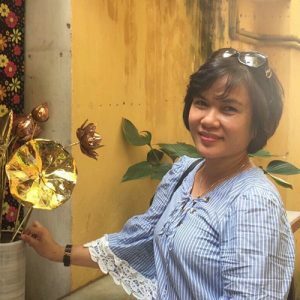 Coming from Thanh Hoa – a city 150km away from Hanoi, I always prefer being a country girl as it sounds old-fashioned but lovely at the same time. Although I’ve been living in Hanoi for 10 years, I still dearly miss the tranquil afternoons sitting at the rooftop of my parents’ house reading a book, the lovely sound of ocean wave or the warm and peaceful atmosphere of the place where I spent my childhood. Hanoi, my city now, on the other hand, just simply becomes a second home where I gradually grew attached to as it has been with me for any ups and downs of my life. In 2012, I became a part of EASIA by chance but have come to be passionate about what I am doing until now. The passion may come from the love of travel as I often describe myself as wanderlust. Whenever having free time, I will have my suitcases to be packed and head off to explore other destinations. I just love the feeling of waking up in the morning at a place far away from home, to feel the different culture and authentic smiles in every beat of my heart, to chase a star in a camping trip, to close my eyes listing to the chirping of the birds in nature or just to wander around the hidden streets feeling like an explorer firstly discover the other side of the world, even to the rawest place. Some may say to escape from a busy life, but I will say to see the wonders every nook and cranny of the world with my very own eyes. I’m really lucky to have chance to visit some places such as China, Cambodia, Shangri-la, Thailand, Myanmar, Malaysia, India etc and of course Vietnam my dear country, but I won’t intend to just stop at that as I always think life is a journey and I just take a very brief step. My top bucket list is Tibet, Mongolia, Iran, Turkey, Sri Lanka, Africa and any places away from the tourist mass, the places where offer authentic experience with great nature and the minimalism of life which I always long for. 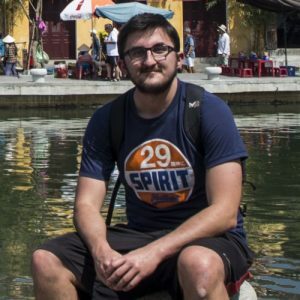 Besides traveling – my life passion, I enjoy taking photos of the places where I encountered to bring out the inner beauty from it, I also love listening to music (rock, jazz, instrumental music), drawing, playing computer games or just going out for a trekking/ climbing the mountain whenever time and health permit. I was born and I grew up in Hanoi – the capital of Vietnam. 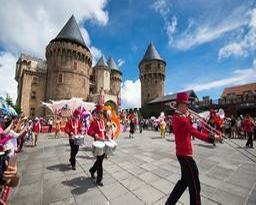 Since I graduated Foreign Languages – National University Hanoi I have been working for Easia Travel. I would like to introduce as many people as possible our beautiful country. I personally travel much, as I can always experience new people, different cultures and customs. 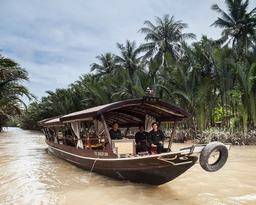 The most impressive in Vietnam is the Mekong Delta. The life there is so quiet, the people are exceptionally friendly and the landscape is very beautiful. It’s a perfect place to spend a relaxing holiday. I was born and I grew up in Son Tay, around 40 kms from West of Hanoi. I love my quiet & ancient city. It’s known by many famous places such as ancient citadel, Duong Lam ancien village, Mia pagoda. I joined the Easia family 4 years ago. Since joining Easia 4 years ago, I’ve learnt a lot about my country and neighbours countries Laos, Cambodia, Thailand and Myanmar. I have also been able to travel as well whenever possible. The most memorable trip for me was the unique Bagan because of the incredible amount of pagodas and temples. Horse-cart riding through the amazing temples and the spectacular view of the sunset from the terraces of the temples and stupas was amazing. If I have a chance, I would like to travel to France. I really like French culture, French language & French people & I love mysterious castles. When I am not working or travelling, I like reading book, listening the music, shopping & play with my child. 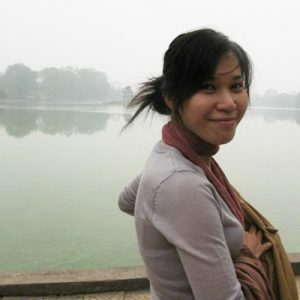 I was born and raised in a peaceful countryside – suburb of Hanoi. What I like most about this countryside is the fresh air and its green space. I remember the winding streets of the village where my mother and I walked early in the morning when I was little. And now I realize, because of the chaos life, it’s been a long time since I’ve been walking with my mother on these little winding roads. I like the roads from home to school – clean, safe and less traffic. I like the weekend mornings, sleeping in the blanket and listening to the rhythm of the falling rain. How pleasant it feels! I have worked at Easia Travel for two and a half years. This is the time that I have been studying, experiencing challenges and growing up a lot. I especially like the company trip, woa, very happy and meaningful. Having fun more important than winning. 1 year ago, I had a memorable climbing in the mountainous area of northern Vietnam in Yen Bai province. It was a 3 days and 2 nights experience, climbing, eating and sleeping in the tents in the mountains, in the evening playing cards, talking, joking. At an altitude of over 2000 meters, cold night to the bone, we had to hug each other to sleep. I also can not forget that we have not taken bath for three days until we went down from the mountain. Oh my god! I come from Hung Yen Province – a peaceful countryside area in Northern Vietnam. This is the only province in Vietnam which has neither mountain nor sea. I really love my hometown even though it has nothing special to attract tourists. I love the way our relatives and neighbors has lived and maintained our relationship, tradition through many generations. That why I come home every weekend as this is the most relaxing time of the week for me. I joined Easia family in December 2016. However, I really like to company’s culture and find many people who has the same interest with me here. I can’t tell which is the most memorable trip for me because each time I have chance to travel to other places, it’s really enjoyable time to meet a lots of people from many different regions in the countries. Unfornately I haven’t had a chance to travel abroad but in the future, I wish to go to Australia and America as I have many friends from these countries. Since joining in Easia, Uk is becoming the next destination that I wish to travel in the near future. As my customers mainly come from UK, I wish to have chance to know more about their country and culture. Beside work and travel, I love writing, wish someday I can have chance to publish my own book. I was born in the province of Thai Binh in northern Vietnam. Different from the occupied cities, it is a calm province because the major activity is agricultural production. I often come back to my countryside for all my holiday. I have been working at Easia since 2014. It is a chance for me to be able to work in this good environment. I always remember my holiday in Cat Ba (about 120 km east of Hanoi) with my friends a few years ago. The atmosphere and beaches are beautiful. I like to go back there someday. My next trips will be in Laos, a country of one million elephants and Cambodia, well known with magnificent temples of Angkor. I hope that you could discover our country, our culture one day. I was born in ThanhHoa and I grew up in NinhBinh, in the north of Vietnam. 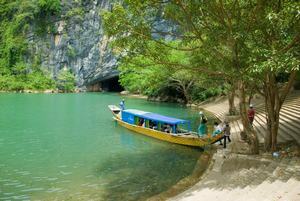 My city is known by their beautiful “Ha Long bay on land” with many caves and mountains on the rivers. It is well situated, just 1h30 in car from Hanoi. I was in Paris during 3 years for my study on the tourism, during that I could travel and discover Europe. 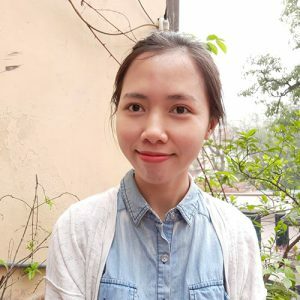 I joined the Easia team since spring 2016, in Hanoi, after my study, with the objective of to make discover my beautiful country and Asia to all the people, by special experiences. My most memorable trip was the discovery of my country from the North (Sa Pa) to the South (Mekong delta) in 2014 with my friends. I could discover different regions of my beautiful country with cultures so rich and diverse, landscapes so surprising and people so kind. Discover Asia, what I will do with my family, my friends and my kind customers, of courses. Then, (re)visit Paris and Europe is my next big occasion to review my brother and friends. Without working or travelling, I like going to the cinema and taking a tea with friends, or gardening. I was born and I grew up in Phu Tho province – a small town in the Vietnam’s nord. My hometown is very beautiful and wonderful,it is associated with my childhood, contains many of my memories with my family and my friends. My hometown has only 1 small river, but a lot of fields and vast expanses of greentea plantation which I like most in my hometown. I went to Hanoi for studying and now for new life & for my work. I joined to Easia Travel from 2008. Working at Easia Travel gave me the occasion to travelin many countries as Lao, Cambodia, Myanamar, Thailand and Italy also. Each country has their private beauty and I love all trip that I had. But mymost memorable trip is my trip to Hoian for motivation trip with Easia Travel in 2009 as that was my first time to Hoian and the most importance is that from that trip, I understood well about the Easia’s culture: we work hard but we always work with a high team spirit which give us the passions in the work. I haven’t still new plan for next trip but I hope to return to Italy to visit some famous places which I still haven’t visited from my last trip to Italy. Working is my favourite but when I m not working, I spend my time to read the books or play with my daughter. I love my city because the people are very helpful and friendly. Ha Noi is exciting and peaceful city in Vietnam. Hanoi still maintains much ancient architecture. Including: The old quarters and over 600 pagodas and Temples. One of the famous places is the one Pillar Pagoda, The Quoc Tu Giam temple Literature, Hanoi Opera House; Precedent Ho Chi Minh’s Mausoleum. And now, there’re a lot of big famous buildings as My Dinh stadium, Ho Tay water park, National conference center. I joined the Easia team 3 years ago. My most memorable trip was for Paris in 2010 with my husband. It was my first time to Europe. It’s the beautiful city with the most famous Eiffel tower and people are very friendly. We had a great time in this city. Next trip on my bucket list is the other city in my country Vietnam like Dalat city, the mountain region (Ha Giang, Mu Cang Chai, Sapa…). I hope that my daughter can discover the beauty of Vietnam. When I’m not working or travelling, I love swimming, walking on with my family. I was born and I grew up in Thai Binh province, in the north of Vietnam, around 100km from Hanoi. This is a peaceful province with very nice rice fields. The people are friendly and very welcoming. I joined EASIA since 2009. My most memorable trip was Myanmar in 2012. Passionate about the cultural richness of Burma, I had decided to work for a half year in this country since the opening of the EASIA office in Burma in 2012. This was an amazing time to discover a diversity of cultures and the beautiful landscape of this golden land. Working in tourism zone give me a good chance to learn about the world and to share my experience, my passion to other people. I do not decide my next trip yet, but for sure I will travel as much as I can. I also love reading, walking, talking with people and teaching to children. I was born and grew up in Hanoi, the capital of Vietnam. Maybe it’s not the best place in the world but I love my city so much because of the friendly people, the mild climate and especially the cuisine. I joined the Easia team beginning of 2017. My most memorable trip was in Thailand when I was very little with my aunt and my elder sister. The first time I travelled abroad, I had immersed myself in the magnificent landscapes, the lively city and the welcome people. In the near future, I desire to discover Hallstatt (Austria) because I love the architecture ancient and the tiny villages on the river’s side. Besides working and travelling, I have passions for cooking, drawing and reading romance stories. I was born in Ho Chi Minh City but I live in Hanoi. I still come to Ho Chi Minh city once a year to visit my relatives. 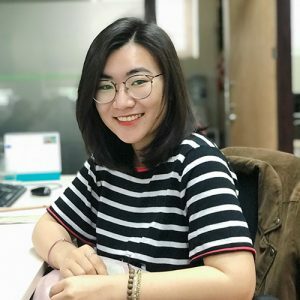 I both love Ho Chi Minh City and Hanoi – If Ho Chi Minh City gives me the feeling of fun, active, relaxing, free, Hanoi gives me something calm and peaceful. I joined Easia Travel in March 2016 and soon fall in love with this big family. Easia gave me lots of feeling and experiences, lots of memories that are definitely unforgettable! It gave me also lots of friends, lots of lessons, lots of meaningful things which can’t be measured by money… and which made me more mature, made me who I am today. My most memorable trip til now was the Thailand inspection trip in July 2016. I had chances to know new culture, new friends and to experience things that I’ve never ever experienced and I am sure that even in the future it will be also difficult for me to experience those things…Thailand since that trip has become one of my favorite countries in the world. However, I am the person who always want to explore and travel more – as much as possible! That’s why I am still waiting more for my ideal future trips… So far I’d love to travel to Italy (again! )… I have been there for 5 years and it was like my second hometown. I always dream of coming back to Italy one day. People say that I am quite talented: I can sing, dance, draw, cook…quite well . So you can say that apart from work and travel I have quite many other passions haha But if I can just choose one, I would choose to sing! I love singing and I can sing all the day  I love being on stage too just to sing. I always try to show my singing skill to everyone…Maybe its no too perfect but it is something that makes me really really happy! Thank you! Love you all! I was born and grew up in Hai Phong, in the north of Vietnam, 100km from Hanoi to the east. I’m always proud of my hometown’s gastronomy, for its variety and quality. The beach there is not very beautiful, but it keeps all of my favorite childhood memories. I joined the Easia team 4 years ago, in 2012. My most memorable trip was to Ha Giang, in November 2016. I was impressed by the beauty, authenticity and culture of this area. The gloomy weather made this place even more mysterious and the attractive. I felt so small amongst the high karst mountains and rice terraces. Next trip on my list: Taiwan and Europe! After the trip to Spain in January 2017, I know I must come back to Europe to explore more! When I am not working or travelling, I like reading, playing guitar, drawing, seeing my friends and drinking tea with mom. Originally coming from Hanoi, I have witnessed the city growing up with me. What I love most about Hanoi is its autumn which brings special atmosphere. Life seems slow down, people tends to relax to enjoy this period of the year and you can smell and feel Alstonia scholaris along the street. Next trip planned in my list: Con Dao island as I want to discover all the amazing beaches in Vietnam as beaches always brings relaxing feeling to me. During my free time, I love reading books, do shopping and hanging out with my friends. My name is Brice VAN HUFFEL, I am French even though my name is from Belgium. I have lived for a big part of my life in Aix en Provence, a lovely city in the Southern part of France. 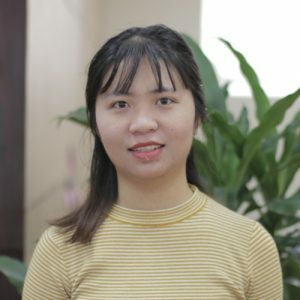 I am the new product manager for Vietnam and I am based in Hanoi. 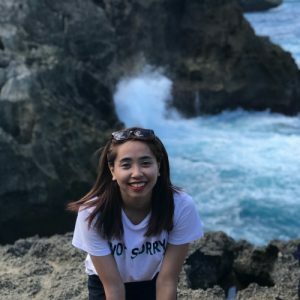 My hobbies are quite simple, first I like to eat good food, second I love to travel, third I am really into photography, fourth I mix the first 3 answers and blog about it ! A part from this I am also a big NBA fan (sorry, I am not really into football). 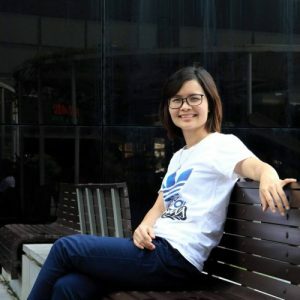 I started to work for a viator-like startup (eoasia.com ; yes the name sounds familiar isn’t it ?) 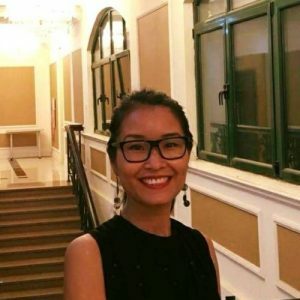 in Singapore where I was travelling all over Asia, then I was for almost 2 years Business Developer for Shanti Travel in Myanmar, and then I did the same for a bit more than 2 years in Hanoi. I have been asked the question “a slogan/quote that you like” so I have to answer “I make Asia easy for you” ! I was born in Versailles near Paris and I used to live in Paris and its region. Paris is the most beautiful city in the world with its historical and cultural Heritage but too cold for me! That is one of the reasons I have decided to move to Asia and to join the Easia Travel Team in June 2016. I have two most memorable trips – Bhutan and Yemen. Amazing scenery, culture, architecture, people, a perfect balance. WOW moments in my life. My passion apart from travel and work (or vice versa ! ) is to read, and what I like most , is a book with a cup of tea.